I admit it. I haven’t been out much lately. In fact, the nearest I’ve come to taking a stroll in the deep dark wood is reading The Gruffalo with Scarlett each evening. I’ve been busy at work, with big projects in exotic places like London, Paris and …Watford, with too much work at home in the evenings. I’ve been busy at home with various chores that have kept me going from dawn to dusk at the weekends, ranging from fixing the lawnmower (I am now an expert on servicing the Briggs & Stratton petrol engine, if anyone needs advice) to re-laying the block paving on our drive in the pouring rain yesterday. It’s been busy busy busy, but at least it’s keeping me out of mischief. I can’t remember ever seeing a live mole. I’ve certainly seen molehills in my vegetable garden. 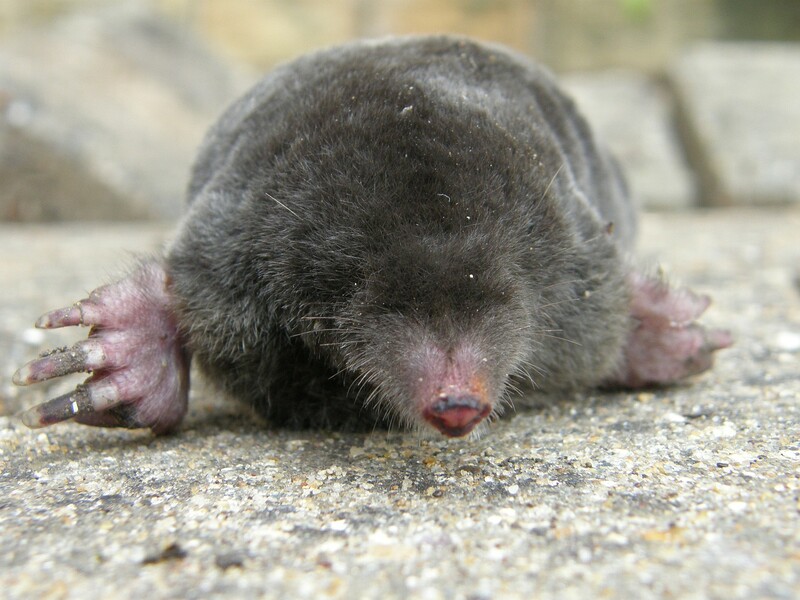 As the latest in a long line of ‘dead animals I have found’ pictures, here’s the mole. Do dead animals count as a tick on my mammal list? Not even if they’re on my own drive?